This is highly reflective of the oven-baked 2003 vintage. 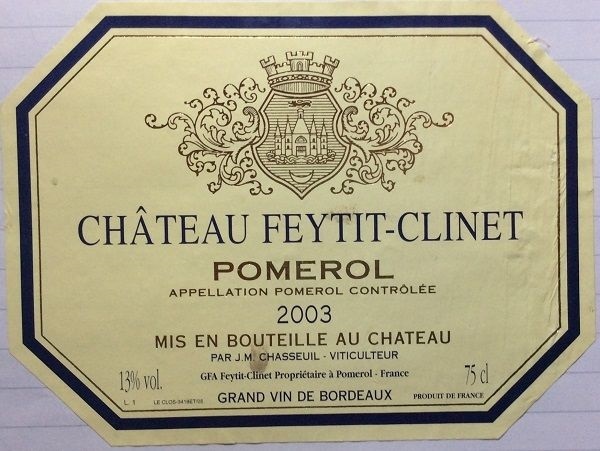 But nice, nevertheless – even if not ‘classic’ Pomerol. Reminiscent of Southern Rhône wine in its baked-earth and pepper spiciness. Medium-to-deep ruby-garnet. Spicy, baked-earth, espresso and plum nose. Some meatiness. Tannins are neither overdone nor underripe. Not exactly elegant, but well-enough handled. Warm, spicy flavour. Pretty good, if unorthodox.